I met a fellow trekker once who described his encounter with a King Cobra. He was climbing a steep path and not paying too much attention to what was up ahead so that he almost walked into the cobra that was rearing up just a couple of feet in front. He started to back up and tripped, landing on his backside so that he was sitting on the jungle floor, helpless and staring up at the snake looming above him (they can reach a height of 5 feet). They stayed like that for a moment (probably felt much longer to him) and then the snake turned and moved away into the undergrowth. In many instances animal behaviour is difficult to predict – however there are some general rules when it comes to animal attacks on humans. With snakes that are too small to eat you (i.e. anything smaller than the very largest of pythons) the snake will only attack if it feels threatened (or if it is defending a nest) and the attack is really just its way of telling you to go away (so, for example, snakes may give you a dry bite as a warning shot but if you don’t heed the warning it will bite again and inject venom). The bottom line is that snakes don’t want to waste their precious venom on something that is too big for them to eat anyway and if they don’t feel threatened they’ll leave you alone. Another well known rule is that with animals that hunt for larger prey it is almost never a good idea to behave like prey (i.e.to run away) as this is likely to trigger them to give chase. If you own a dog or a cat you will know this already, both love to chase anything that runs. You will also see that dogs main tactic for bringing down larger animals is to circle behind them and attack the legs which is why you never want to let a predator get behind you. But it’s difficult to generalise much further about animal behaviour as it can be unpredictable. For example most people believe that a camp fire will keep wild animals away but there is another school of thought that thinks the fire may actually attract curious predators to come and check you out. Who is right? Probably both – in some instances the fire will keep them away but sometimes a particularly curious animal may be drawn to it. Even animal experts can get it wrong (e.g. Steve Irwin) and I think all, if they are honest, would agree that it is impossible to accurately predict the behaviour of wild animals 100% of the time. In this video I’ve filmed the civet cats (for those interested) and also describe a very hairy encounter with a spitting cobra. The dogs were attacking this cobra and (true to their instincts) were attempting to bite it by the tail and pull it backwards (not a great tactic with a snake) – it amazed me that none of us ended up bitten by the snake and I think this is only down to the fact the the spitting cobras first line of defence is to spit. Had it been a King Cobra or viper then I’m positive that at least one of us would have been bitten as all of us were well within striking distance. This has been a very busy year so far and I haven’t been able to devote as much time to junglecraft as I would like and have been a bit slow at replying to comments and emails. I do eventually reply and will try to post more videos soon. There are some primitive skills (like fiction fire) that are difficult to master and others (like making pitch) that are satisfyingly straightforward. In the past pitch was used for all sorts of purposes – attaching arrow heads or the split feathers used for flights onto the arrow shaft, for fixing the tang of a blade into a wooden handle, for waterproofing and strengthening fine cordage used for bindings, fixing cracks in wood (e.g. in the hull of a boat or a wooden bowl)….or any other purpose that required binding or waterproofing. In the jungle it is relatively easy to find the essential ingredient (tree resin) as many of the trees here produce it to heal damaged bark (e.g. when a branch falls off) and I often come across lumps of it on lying on the ground (usually close to the tree trunk). These days, of course, we take glues for granted and there is a range of types to choose from depending on what materials we are trying to glue together, but in the past people had to be more inventive. One type of glue that the Orang Asal use is the amazingly sticky pulp inside the Terap tree fruit. They will smear some of this onto a tree branch and wait for some unsuspecting bird to land on the branch. The glue isn’t strong enough to hold the claws of the bird but as it tries to fly away its wings get stuck to the branch and the more it struggles the more stuck it gets. In this video I show you how I make pitch: I use a method that has the advantage of being very easy and quick. There are other more refined methods that produce better quality pitch but I find the pitch produced by the method I use to be good enough for the jobs I want to do with it. This year’s monsoon rains have had a devastating effect in Malaysia with close to 200,000 people forced to abandon their homes because of flooding. What was the cause of the flooding? Heavier than usual rains are of course a major factor but so too is the effect of human development of areas prone to flooding, as is the surrounding deforestation that continues at a worrying pace in Malaysia. I am lucky that our house is up in the hills but even here the impact of human development is easy to see. The rivers are full of mud that is washed down from sites cleared for houses or roads – with no vegetation to ‘hold’ the soil the run off erodes the earth – and where does all this sediment end up? Unfortunately down stream the rivers will get shallower (the soil with settle on the river floor where the river flows more slowly) and, therefore the river is more prone to burst its banks during heavy rain. We are also seeing more landslides where people have cleared the slopes of trees and vegetation as, with no roots to hold the soil, it is more prone to slip. The trees and vegetation (that are cleared to make way for roads and homes) are nature’s natural sponges; their roots not only hold the soil but absorb water during the rains. Without them, surface run off increases and with it the risk of flooding. I see a lot of developments where engineering tactics (i.e. man made drains, soil support systems) are employed to combat the impact of heavy rains but if we tip nature too much off balance these ‘band aids’ to compensate for the damage we’ve done to the surrounding countryside will be of little help. As for the poor people who have been forced to abandon their homes because of the floods, both food and water are a problem for them. You might think that water would be easy enough to find during a flood but the problem is to find clean water that is safe to drink. 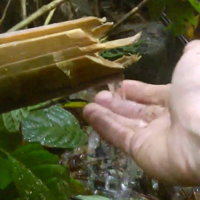 Which brings us to this video on finding clean water in the jungle because, during the rains, the run off into the rivers is not only full of mud but also contains any animals droppings that are washed down with it (or even dead animals). Each time I do a gear review I think to myself that it will be the last one – that my kit is as good as it can be and there will no need for further enhancements. This year is no exception and, although my gear purchases are becoming less and less, they still haven’t reached an end and, no doubt, next year there will be some other piece of must-have kit that will lighten my wallet. Anyway here are some pieces of kit that I’ve picked up this year and, below, I’ve put in links for those interested (mainly Amazon links). I apologise for being slow to get back to those who have commented or sent me emails in the past few weeks but the introduction of the civet cats has thrown everything slightly out of whack and I’ve not had as much time to spend on jungle craft things. Hope you all have a great Christmas and Happy New Year! About a week ago the mother of the civet cats who’d taken up residence in a pot on our balcony was hit by car and died. 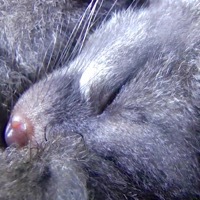 I had been dreading something like this happening as rearing very young wild animals is both difficult and time consuming but, as the baby civet cats were de facto guests in our house, there was no choice. The area where I live is a development that considers itself to be ‘eco’ , although an eco development of a rainforest is an oxymoron if there ever was one. Roads bisect the land and, as no consideration has been given to how the animals are meant to cross these roads safely, there is a fair amount of road kill. The incident made me think of the eco-highway (another oxymoron) which is nearing completion in the wildlife corridor that separates Taman Negara national park from the Main Range of hills that form a north-south spine along peninsular Malaysia. This corridor is a bottleneck between these two areas and a highway bisecting it was clearly going to create problems for animal movement between them. Whether this highway was necessary or not is a question in itself but there has, at least, been an attempt to provide some crossing route for the animals. The idea was to have an ‘eco-highway’ whereby parts of the highway are elevated so that the animals can pass beneath. A fairly optimistic notion as I imagine a lot of animals are not going to be particularly keen to walk beneath a highway as heavy trucks thunder above them and street lights glare down. To make matters worse there are large areas of palm oil plantation on either side of sections of this ‘eco’ highway and this unnatural habitat is, again, likely to put animals off making a crossing that will, to them at least, appear to traverse treacherous and alien terrain. It’s a shame that the whole effort is likely to be redundant unless the surrounding palm oil plantations can be restored to true forest that the animals feel safe in. Perhaps the problem stems from the mistaken classification of palm oil plantations as forests and thus whoever planned this ‘eco’ highway didn’t see an issue….but palm oil plantations are not forests, they are, as the name explains, plantations of a single species of palm….even the animals know that.